I enjoy cricket in any form; tests, one-dayers, French, backyard and even 20Twenty or T20 as it is now called (because everything about this game must be as short as possible). 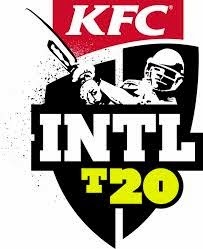 What I don’t enjoy in T20 is all of the entertainment add-ons. They have made the game itself so small that the promoters have had to upsize it. If anything these extras detract from the game or only go to accentuate how lacklustre a game is when the players do not live up to their collective reputations. I attended the T20 match between South Africa and Australia at the MCG on Friday night. In their innings South Africa meandered to a total of 101 runs. This is not the foundation of an exciting match. The fireworks were used sparingly following Wednesday’s match in Adelaide where the pyrotechnics nearly set fire to Aaron Finch’s face as he fielded a ball from the boundary. They are used at the beginning of each innings as players enter the field but they are no longer used when a batsman scores a 4 or a 6. This was not a big issue Friday night as there were few boundaries scored. The dancers were performing loosely choreographed routines to a set catalogue of music. This might be unfair they might have been tightly choreographed and just not rehearsed or poorly performed. They were almost in synch with each other, performing night club style dancing. Not at a quality you would see on a stage or in a cage at a night club, more a drunken jammed into an overcrowded dance floor type style. The dancers were better than the BMX riders. The dancers knew more than one dance step. The BMX guys performed one trick repeatedly ALL night. Standing with one foot on the hub of the rear wheel, front wheel in the air, they then pushed the rear tyre with their other foot causing the bike to do upright pirouettes. That’s it. ALL night. And they weren’t particularly brilliant at it. Regardless of the rider that was the only trick performed. ALL night. No jumps, no bouncing, no tricks with the front wheel, no headstands. Just pirouettes. ALL night. I was thinking that perhaps I was not the target audience for this entertainment when I realised that all of the crowd around me were ridiculing them. Regardless of age or gender the crowd was openly laughing at them, begging for more tricks and stunts, but to no avail. The fire twirler did just that, twirled fire. Of the three stages this was the most entertaining. His twirling may have been limited by safety concerns with risks of setting fire to the stadium or other spectators. His act could have definitely been improved by some fire swallowing and spitting, it would have broken the monotony of the 3 hours of twirling. These acts are being paid for their performance, making them professional. The ground announcements did not help the situation either. “Make some noise” and “Get excited” appeared on the electronic scoreboard periodically throughout the game. The crowd obediently did cheer and make some noise but with as much enthusiasm as a parent watching a 7 year old’s first violin recital. If the game was delivering on its promise the crowd would be making a noise out of genuine excitement. The crowd might have also turned up. The MCG was only 20% full with 21,538 people attending Friday’s match. Compare this to the 91,112 or 91% capacity who attended the first day of the 2013 Ashes test match. Ironically T20 was designed to attract bigger crowds because it was believed that 5 day test matches were too slow and boring to attract big crowds. Quality matches between quality teams will sell tickets. Did any parent say to their family “let’s go to the T20 game on Friday” only to have the kids grizzle about it but convince them to attend because there would be “average at best performers on stages around the ground that will be too far away to see properly”. Oh thanks Dad, you’re the best!